A virtual assistant excitedly posted her website creation to one of the VA Facebook groups I manage the other day. She was clearly proud and excited about what she’d done and spent a lot of time on it… but I groaned out loud. Really common mistake, but one that will cost you the most in terms of your search engine ranking. All those juicy keywords, regular content and interested followers are NOT actually visiting your site when they click on your blog link… They are visiting WordPress/Blogger/Tumblr. Your website domain isn’t getting any traffic or keywords or content whatsoever, so from an SEO perspective, your work is entirely pointless. As tempting as it is to go for the quick and easy option to set a blog up via one of these providers, take a little bit of extra time to host it via your own website. We use 1and1 for our hosting, but most webhosts will have a blog hosting option and a guide to setting up and installing WordPress on your own domain. If you truly have to set it up on a freebie blog, choose one that you can download the content from and import into a WordPress blog at a later date. Getting the opinion of other virtual assistants is priceless… Apart from anything else, they can spot a typo at 15 paces and will also email you to tell you about it (clients won’t, they just won’t use you!!!). But long term, you will want to monitor the site to see what blog posts are popular with your clients, what sort of words they search for and what subjects interest them. And your results will be seriously squiffy if you have a ton of VAs clicking on each post. Unless VAs are your target client market, don’t promote your blog to them. A while back I remember being in a virtual conference where the speaker challenged us to all post a blog about buying a loaf of bread. The idea was to demonstrate Twitter trending, but it had absolutely nothing to do with being a VA or engaging with my audience. Looking through the content of some VA blogs, you would be hard pushed to see what this person does. There’s a load of tech tips, some woolly posts clearly lifted from elsewhere without any original content, perhaps some local events and maybe 2-3 from affiliate beauty products they sell. It’s all a bit random! Content is king – for both SEO and enticing back repeat visitors, plus converting clients. No, not every post has to be a sales pitch. But each post should embody what you encompass as a Virtual Assistant. Some of that is building relationships by opening yourself and your life up to your potential clients. Some of it is proving your knowledge. But each post should stand on its own as being a positive reflection of you and your business. 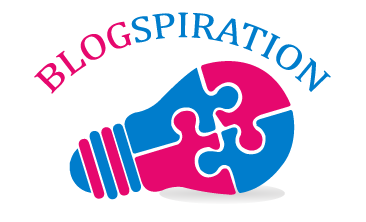 For more blogging ideas grab hold of our Blogspiration subscription for £25.